The following is an extract from a longer account of the siege of Stirling Castle, which took place during the spring and summer of 1304. 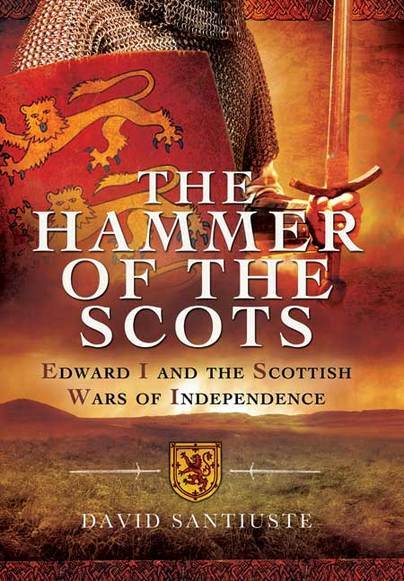 At this time, after several years of bitter war, Edward I appeared to be on the cusp of a final victory in Scotland; most of his Scottish enemies had now submitted. We can be sure that Edward understood the strategic significance of Stirling, although the assault on the castle was also envisaged as an exhibition of his power. Much of his court, including his queen, was present to view the spectacle, and he had assembled a formidable arsenal of military technology. Despite facing overwhelming odds, the patriot commander of Stirling, Sir William Oliphant, was prepared to defend his charge. He defied the English king, declaring that he held Stirling ‘of the Lion’. Edward’s response was uncharacteristically calm, although there was a clear sense of menace: ‘If he thinks it will be better for him to defend the castle than yield it, he will see’. Thereafter the siege began in earnest, and Edward’s engineers and soldiers were rapidly set to work. At this siege, Thomas de Gray, knight, was hit by a bolt from a springald through the head beneath the eyes; he was thrown to the ground as though dead […] Thomas was carried away, and a troop was got ready to bury him – at which point he started to move and look about, and afterwards he recovered. The elder Thomas Gray, it would seem, had an ability to cheat death that rivalled Edward’s own, although the king himself was not to be outdone. In Flores Historiarum we are told that another missile pierced Edward’s saddle, passing between his legs, although the king was miraculously unhurt. One version of this chronicle goes on to provide an increasingly elaborate interpretation of this episode, filled with Biblical allusions, and the author was evidently keen to reinforce his image of Edward as the Lord’s anointed. Nevertheless, with the eyes of the court upon him, we might assume that the real Edward would not have flinched from danger. A variation of the Flores story appears in a somewhat later English chronicle, which was formerly attributed to William Rishanger. It is said that Edward narrowly escaped death when a bolt from a crossbow was transfixed in his armour. But the king, as presented here, was able to maintain his composure. He extracted the bolt, spat on it to show his contempt for the garrison, and threatened to hang the man who shot it. Remarkably, the garrison at Stirling held out for almost three months. The patriots were not only assisted by the castle’s imperious setting and its stone walls, but also by deep cellars carved into the rock; as well as providing a safe store for provisions, these also offered an important refuge. Eventually starvation did prove to be the key factor, in spite of all Edward’s efforts to take the castle by storm. With the situation now becoming desperate, Oliphant offered his surrender, but Edward had not quite finished with Stirling Castle. By this time he had ordered the construction of a particularly fearsome new siege engine, and he was determined to see it in action. This machine became known as Ludgar or Loup de Guerre: Warwolf. The king wills that none of his people enter [the castle] till it is struck with the Warwolf, and that those within defend themselves from the said wolf as best they can. The sources do not explain exactly what Warwolf did – it is usually assumed to have been a giant trebuchet – but Edward did eventually have the satisfaction of witnessing it in operation. The chronicler Langtoft, probably somewhat exaggerating, claimed it brought down an entire wall. Now, on 20 July, Edward agreed to accept the garrison’s submission. The account in Flores tells us that the patriots embraced their allotted role in the spectacle, emerging with ashes on their heads and halters round their necks, placing themselves utterly at Edward’s mercy. This done, he ultimately spared the garrison’s lives – although Oliphant and his men were imprisoned. Only fifty had survived from an initial 120; the number of casualties in Edward’s army is unknown. King Edward celebrated the fall of Stirling Castle by hosting a splendid tournament, and for a time it did seem as though Scotland would be incorporated within the Plantagenet domains. However, Edward’s control of Scotland would prove to be short-lived. In 1306 Robert Bruce claimed the Scottish throne, having murdered his great rival John Comyn, and the Wars of Independence resumed. David Santiuste studied history at the University of St Andrews, where he was awarded a master’s degree with distinction. His previous publications include Edward IV and the Wars of the Roses, as well as various articles. He is the creator, with Rae Tan, of the website Reflections of the Yorkist Realm. David currently teaches history, on a part-time basis, at the Office of Lifelong Learning, University of Edinburgh.